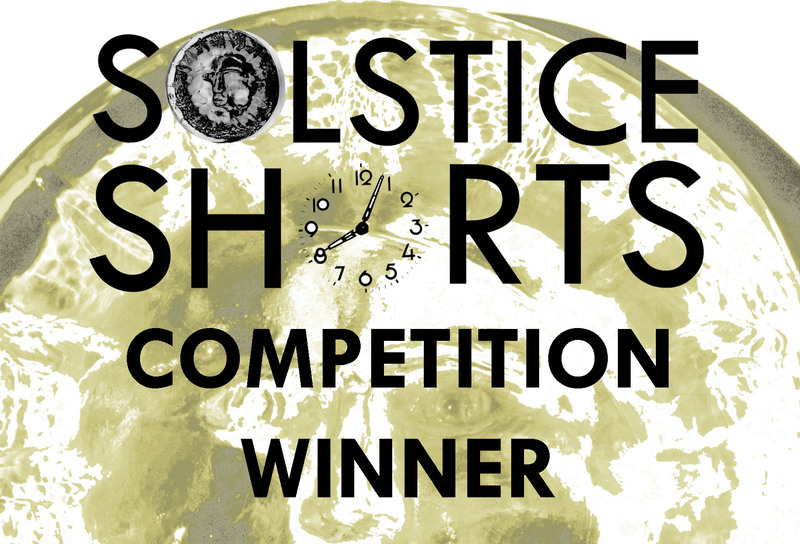 We are delighted to congratulate our twelve winners, who will receive various prizes including a surprisingly untacky trophy, and whose stories will be read at the festival, and published alongside a story from each of the judges in the forthcoming anthology, Solstice Shorts: 16 stories about time. Five Judges Special Recommendations will be announced at the festival at SUNSET. Thanks to everyone who took part (all 106 of you), we appreciate your interest in our festival which we hope is the first of many, so there will be other opportunities in the future. Short-listed writers will receive brief feedback sometime next week. This entry was posted in awards, competitions, Festival, short stories, Solstice Shorts, Story Sessions and tagged Andrew Gepp, Cindy George, David Mathews, David Turnbull, Deschaney Tate, Emma Timpany, Helen Morris, Jayne Pickering, National Short Story Week, Pippa Gladhill, Sarah Evans, Short Story competition, Solstice Shorts Festival, Tannith Perry, William Davidson, Winners Announced by Cherry Potts. Bookmark the permalink.